Students work with a chapter from Milton Meltzer’s classic book, Bread and Roses, to see the impact of late 19th century factory work on workers’ home lives. In Paper Airplane Simulation, students “saw” some of the key turn-of-the-century workplace changes, which continue to affect workers. 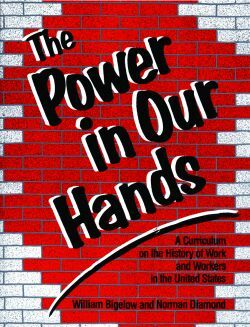 In this reading from Milton Meltzer“s classic book on U.S. labor history, Bread and Roses, students explore some of the historical background. “Free to Think, Talk, Listen, or Sing” recounts how new technologies and workplace structures affected the most intimate aspects of people”s lives. Often, workers” demands made in negotiations don”t fully reveal the human consequences of work. Even when the call is for higher wages, the underlying grievances may be much deeper. Southern Tenant Farmers’ Union: Black and White Unite? Order the book online from Rethinking Schools.